W-League semifinals preview: Can anyone catch premiers Canberra? 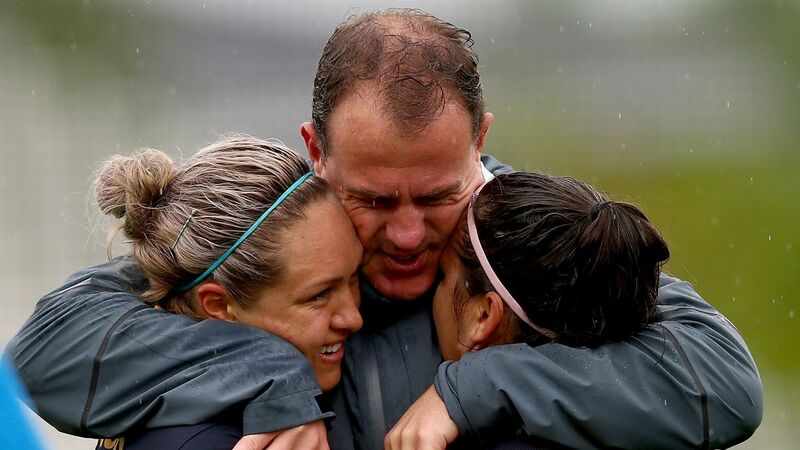 Canberra United secured the W-League premiership last weekend. Now their sights are on the finals series. The whittling down of the W-League field and jostling for position in the top four was drawn out to almost the last kick of the weekend. 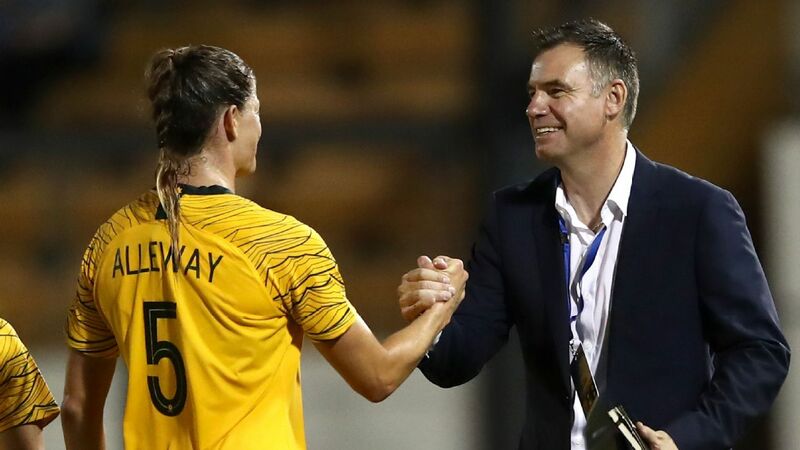 Sydney FC, Canberra United and Perth Glory all had opportunities to claim the premiership but it seemed to be the trophy no one wanted to win. It was Canberra that found their mojo in the final week and their 5-1 win over Melbourne Victory sealed not just the first silverware for Season 9 but ensured that the Golden Boot would once again return to the Capital, this time with reigning Julie Dolan Medallist, Ashleigh Sykes. You have to feel for the Newcastle Jets, who were one win short of a first finals appearance since the inaugural edition, and Adelaide United who came home strongly in the New Year. The Lady Reds particularly could have created all sorts of havoc in the finals and, based on current form, might even have taken the chocolates. However, the die is cast and it will be Perth Glory who host Sydney FC in the first semifinal, after robbing the Sky Blues of home ground rights with a last gasp winner against the Wanderers in the final round. Sunday's match will feature the new Premiers against the defending champions in a mouth-watering clash at GIO Stadium with Canberra home to Melbourne City. Heat issues have bedevilled the W-League as always and one could expect that in a league that kicks off in the middle of the afternoon in the height of Australian summer, however no corner of the country has been untouched by the heat this January and the conditions as always will favour no one. It's impossible to pick a favourite for the title with inconsistency the hallmark of all final four teams in recent weeks and it's a whole new ballgame now, with no second chances. The W-League champions trophy is well and truly up for grabs. So who wants it most? All bar two of Caitlin Doeglas' appearances for the Glory were off the bench, however the midfielder scored Perth's opening goal of the season in the first minute of their first game, then didn't score again until almost the last kick of the regular season. While that suggests danger off the bench, the real hazard for Sydney will be containing Sam Kerr. An experienced Matilda who has proved she can score for fun in this league, the 23-year-old will have the freshest legs in a purple shirt after serving her suspension for a red card in the penultimate match. That will be old news to her opposition who are well aware of her talents, however knowing what Kerr can do and stopping her, are two completely different issues. Of further concern is the able support from both Rosie Sutton and Vanessa DiBernardo, the only other goal scorers for the Glory this season. Sydney might statistically have the second tightest defence in the league (after Melbourne City) but in the only meeting between the sides this season, Perth won 1-0. No prizes for guessing who scored. Sam Kerr 1-0 Sydney FC. The coach says: "A home final is only what we deserve -- we were consistent throughout the year and the only fitting testament to the girls is to have a home final. The Sky Blues are the only club in the W-League to have appeared in every single finals series in W-League history. They also have two players in the top 10 of the all-time scoring charts in Leena Khamis and Kyah Simon. Sydney FC boast the highest ever scoring margin over another team against -- you guessed it, Perth Glory -- winning 11-0 in November 2011. However, this is a very different Perth side they'll face on Saturday and if you go on current form Sydney haven't won in three matches, relinquishing the Premiership and a home semifinal in the process. While they have conceded two less goals this season than Perth, they've netted the same amount at the other end. Yet they are not one of the most successful sides in the league for nothing and the big game experience they boast cannot be underestimated. Sydney's highest goal-scorer this season is 17-year-old Remy Siemsen, so this week expect Simon, Khamis and Caitlin Foord to turn on the afterburners in a bid to make amends for the past three outings and fight for the right to be the most successful team in the league. The coach says: "We were very disappointed that we let the opportunity to win the league go -- now the only trophy up for grabs is in the Grand Final and we are fully focussed. The reaction from the girls has been fantastic. 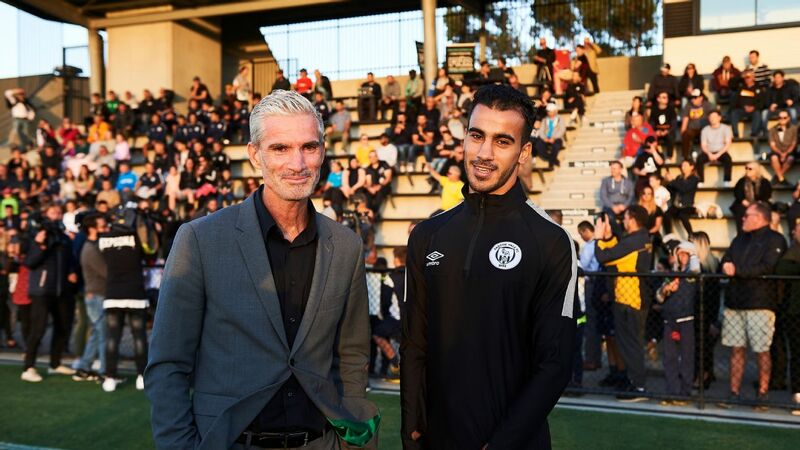 Canberra United have blown hot and cold at crucial points of the season, yet in their final outing with nothing to lose and everything to gain, they took the lot, the premiership, the Golden Boot and a home semiinal. Well, it's almost at home. GIO Stadium is certainly in Canberra, however it's not the McKellar Park ground that is the fortress of the team in the Capital. The home side are set to shell out over $50,000 to host their own semifinal but politics aside, the newly crowned Premiers are determined to be at the big dance once more. Ousted in controversial circumstances by Sydney FC in last year's semis (ironically at McKellar Park) Canberra are loading up their arsenal for this encounter. They were the first side in history to beat Melbourne City and will ride that wave of confidence into Sunday's match against the defending champions. This strike force was touted as the most dangerous in the league before a ball had been kicked, however Jasmyne Spencer is yet to fire and Michelle Heyman, while back at training after an ankle injury, is unlikely to be risked for this match. The problem for City is that the home side has no less than 10 players on the scoresheet this season including the likes of Ashleigh Sykes (Golden Boot winner this season) and Steph Ochs. Even mercurial defensive midfielder Yukari Kinga chipped in with two goals a fortnight ago. 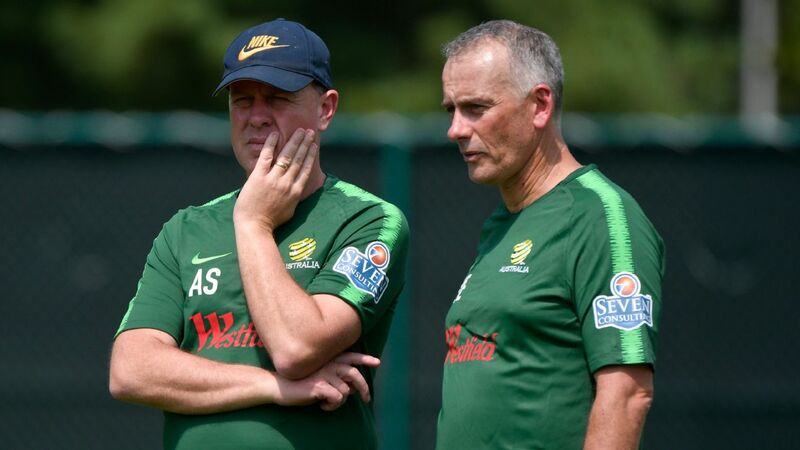 Smothering Sykes may be one option, but young Grace Maher, speedy Hayley Raso and returning defender Ellie Brush all present a different conundrum -- and oh, then there's Matildas star Lisa De Vanna who might be yet to start a match since her signing in week 10, but woe betide the side that under estimates that danger. The coach says: "We've ticked off our first couple of team goals. They were to make the finals and secure a home final -- the premiership is the reward for that. Melbourne City has had perhaps the most turbulent season of any side in the league. Coming off a dream debut that saw them score 38 goals and concede just four over 12 matches in the 2015-16 season, backing up was always going to be tough. Perhaps no one could have predicted just how difficult it would be. The departures of midfielder Kim Little, defender Jennifer Beattie and striker De Vanna presented huge challenges for a side unfamiliar with losing. 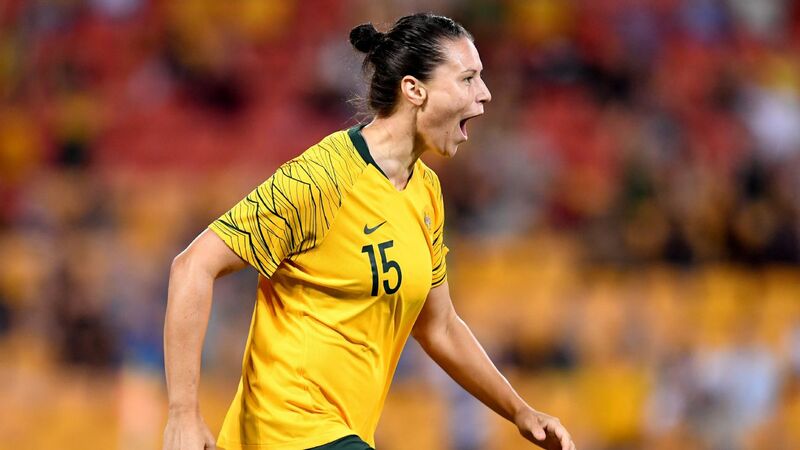 An ankle injury to Season 8 Golden Boot winner Larissa Crummer added to their woes and the City side only managed to find the back of the net half as many times this season while conceding 14 goals as they scraped into a fourth place finish. A reshuffle in the coaching staff means key midfielder Jess Fishlock has been promoted to double duty in the past few weeks as head coach while still marshalling the troops on the playing field. Fishlock's influence in the middle of the park cannot be underestimated and support from those around her will be integral as they travel to the capital to take on the side that ended their superb unbeaten run and are now the premiership winners. Steph Catley on the flanks will as always be crucial, while Laura Alleway and Rebekah Stott in the back line will need to stand firm in front of the national team No. 1 Lydia Williams. 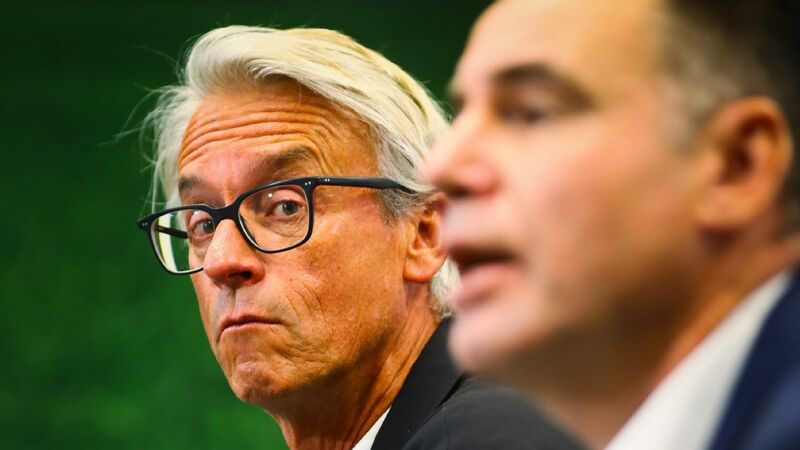 After spending the previous eight seasons in goal for Canberra, you can be assured that Williams knows the dangers of the new premiers better than anyone. The coach says: "We are really happy that we are into the finals, the last couple of weeks have been positive and it didn't matter who we drew in the finals.